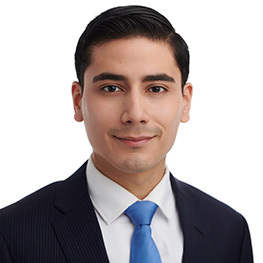 Dennis Gonzalez is a Senior Analyst and founding team member of Tillid Group. Dennis is skilled at the collection, analysis, and assessment of data and information to identify potential patterns and trends. Dennis is an integral member of the Nunez monitoring team and has designed and conducted various assessments and prepared memorandums to help identify and resolve complex problems. In addition to his analytical contributions, Dennis provides key administrative planning and execution to help enhance the efficiency and effectiveness of projects and client-oriented solutions. Prior to joining Tillid Group, Dennis was a Quality Assurance Manager at Juris Solutions. In this role, he developed and implemented policies and procedures to improve the company’s internal performance metrics and efficiency, and worked closely with management and clients to develop and grow the company’s compliance program. Before Juris Solutions, Dennis was Legal Intern for the Honorable Joyce Watson in the Nassau County District Court. In this role, he reviewed and organized legal documents to help streamline court procedures.